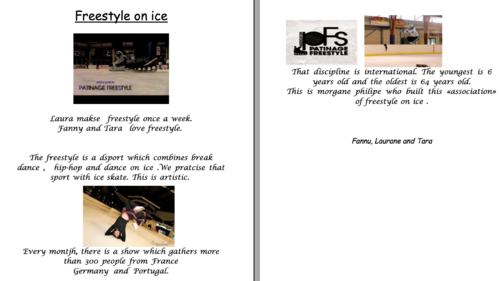 When is the next show of freestyle on ice in Reims? how many do yo practical the freestyle ? Freestyle on ice is a french group of skater and now F.O.I. is a comapny absolutly independant for promoted their skills and culture.